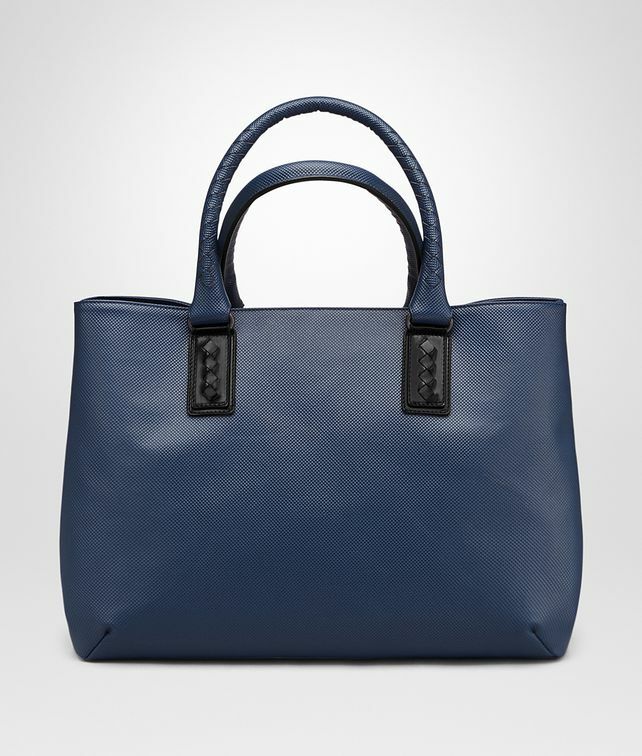 This spacious tote bag is an ideal choice both on and off duty. The durable canvas is finely textured with Bottega Veneta's well-known Marcopolo motif and will maintain a pristine appearence over time. Sturdy Intrecciato handles are crafted from the same material and punctuated with contrasting leather attachments. The expandable snap-fastening sides provide additional storage space. The cotton-lined interior features a zip pocket. Height: 28.5 cm | 11.2"
Width: 38.5 cm | 15.1"
Depth: 17.5 cm | 6.9"